Upon arrival on Roatan, you will be transferred to Coco View Resort. This dedicated dive and snorkel resort sits on the edge of the world’s second largest coral reef. The diving here is super convenient and satisfying. Just a short ride on one of the custom dive boats, takes you to Roatan’s best dive sites. Just a few fin kicks from your room, expect pristine coral walls teeming with a healthy abundance of critters and even a 140’ wreck in the resort’s famous “Front Yard”. You can dive and snorkel until you are completely waterlogged. Grab a tank & go as shore diving is available whenever you desire. This fun dive resort has 29 guest rooms in total either at the water’s edge or directly over the water. 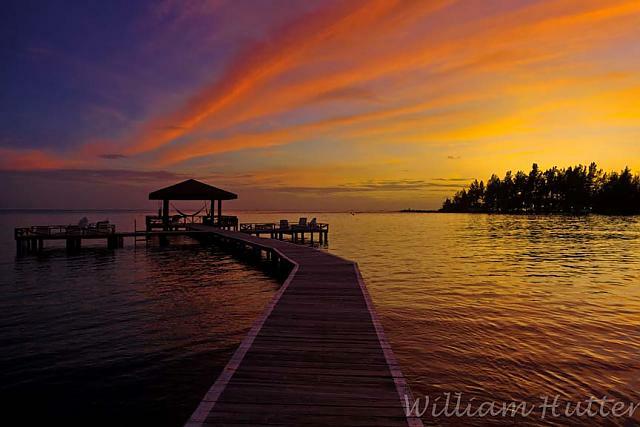 There are 4 bungalows located in two over-the water duplexes along a wooden walkway between the Clubhouse and Hawksbill Cay. The bungalows are private and spacious with large decks. Along a wooden walkway are 12 ocean cabanas in three separate buildings with private ocean view decks. Two buildings on the water’s edge between the clubhouse and the main dock, house the upstairs or downstairs 12 oceanfront rooms. Cocoview even offers two and three-bedroom casas for families and friends traveling together. Every room is air-conditioned and is equipped with in-room coffee pot, mini-fridges, lockable security boxes, hammock and maid service. Return to the airport on Roatan for the short flight to La Ceiba. You will be picked up and transferred to Pico Bonito Lodge. The Lodge & Spa at Pico Bonito is a wilderness eco-lodge located on the Caribbean coast of Honduras near La Ceiba. This nature lodge offers the adventure of the outdoors, the beauty of the rainforest, and the personal service and comfort of a boutique hotel. The lodge is set in tropical gardens with a landscaped pool and a wonderful array of adventures in store. The extremely comfortable and roomy cabins are built in stone and native pine and are scattered among old cacao groves. There are 22 standard and superior cabins featuring private bathrooms with shower, louvered and screened windows, two ceiling fans, plus a private veranda with hammock. Itzama is the lodge’s full service, newly renovated restaurant and bar where guests dine on Mesoamerican cuisine. Using fresh seafood and locally grown herbs and vegetables, the chef recreates local Honduran specialties. Whether you are trekking through the rainforest, white-water rafting, bird-watching or visiting Mayan ruins, the experiences you will encounter are totally connected to the local life around you. Set against a mountain backdrop, the lodge is surrounded by the most extraordinary wildlife that includes over 400 bird species, exotic animals such as kinkajous, peccaries, coatis, tyras as well as monkeys and jaguars. Don’t forget to check out the Butterfly Gardens and the lodge’s full-service Spa! Return to the airport for your flights home.